Florence, beyond being the cradle of Renaissance, is an international capital of Fashion. Many famous stylists comes from Florence, making the Made in Italy an international symbol of quality and creativity. Just think about Ferragamo shoes, the colorful printed fabrics of Emilio Pucci and Roberto Cavalli or Gucci's classic style. Therefore it makes perfect sense for Polimoda, the international fashion design and marketing school, to be based in Florence. The school works in close contact with companies, stylists and professionals of the fashion system in order to provide training and skills the market itself demands. It offers master programs in fashion design, fashion marketing and all subjects related to this field that are constantly updated in tune with the actual needs of the labor market in the fashion sector. In addition to orientation studies and summer courses in fashion and marketing, Polimoda offers undergraduate and graduate courses. 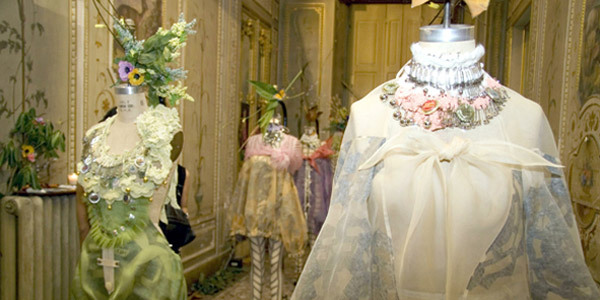 Among its several proposals the masters program in Fashion Design in Florence stands out. The Fashion Design Master aims to foster students' creative talent, in order to develop and develop their innate creativity and express it in a unique and personal style. The three-year course provides students with all the necessary tools and knowledge to cultivate their own genius and personality. During the first year participants study the fundamental techniques and skills of drawing and graphics, pattern design, sewing and knitwear, as well as fashion history and general culture. Over the second year students concentrate on conceptualization, research and skills. After analyzing, synthesizing and interpreting they create a first model and a first fashion collection of 5 pieces. The third and last year is dedicated to design, communication and management, producing a professional portfolio and realizing a fashion collection of 8 models. The programme ends with a big fashion show attended by famous professionals and talent scouts from the fashion sector. A distinctive plus factor of Polimoda that characterizes this fashion design course in Florence from others is the opportunity for a personalized three-month internship in fashion companies in Italy or abroad which puts into practice the skills learned directly in the workplace new fashion designers will enter shortly. In addition, the fashion school in Florence offers an optional one-year master class to deepen and strengthen their design identity. Polimoda is certainly one of the most qualified and renowned fashion and marketing schools in Italy and aims to provide talented students with the fundamental skills to find a job in Fashion, both in Italy and abroad.